Call 020 3811 5808 now. No win no fee* solicitors for bicycle accident claims in London. Call today to find out how much bike accident compensation you could be due. All of our solicitors work on a no win no fee* agreement. This means you have a no risk approach to making a claim. If you have been hit or hurt whilst cycling in London and would like to know how much bicycle accident compensation you could be due then call our helpline today and talk to an expert. We make the process of claiming as easy as possible. All it takes is one phone call into our team who will then ask you a few question. If we feel that you are due bike accident compensation for your injuries and damage to property will then arrange an appointment with one of our lawyers. We fight tirelessly to ensure that all cycling accident claims in London are treated with the care and attention that they deserve. We know that cyclists in London are at huge risk, and often are offered scant regard by other road users. Our team has successfully won significant bicycle injury compensation for clients in London and the rest of the UK, and in most cases will settle cases outside of court. How Much Bicycle Accident Compensation? Every bicycle accident in London will be different. You might have been hit by a car, or a bus, or lorry. Perhaps a pedestrian walked out in front of you. It might be that poorly maintained roads contributed to your personal injury claim. Whatever the scenario we should be able to help you in making an effective and swift bike accident claim. Because cyclists are so exposed whilst riding, injuries can be extremely serious. Because of that it’s not possible for us to list all compensation estimates, but here are some rough guidelines as to what you could expect to receive when making a cycling accident claim in London. Head and brain injuries are a very specialist subject which are team also works with. These types of cycling accident claims can range into the hundreds of thousands. There is no doubt that cycling is booming in London. A nation inspired by the exploits of Bradley Wiggins, Team Sky and our velodrome Olympians such as Sir Chris Hoy are taking to the road like never before and embracing this greenest form of transport in unprecedented numbers. And they are doing so, in great numbers specifically in the capital. That is fantastic news and the health and social benefits cannot be overstated. Nonetheless, there is always a price to pay whenever a rash of new cyclists takes to the road. It is almost inevitable that more bikes – and more inexperienced cyclists – have increased accident levels – not least in London where the cost of travel and the congestion charge, improved cycling facilities and fears of terrorism on public transport have all turned Londoners onto the benefits of cycling. Figures released by Transport for London in June 2013 showed that while cyclist deaths in 2012 fell by 13% over the course of a year (from 16 to 14 deaths), the number of cyclists seriously injured swelled to 1,054, a rise of 17%. 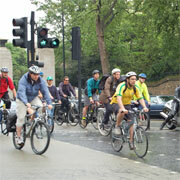 Our mayor Boris Johnson stated that the rise in injury rates was greater than the uptake in the rate of cycling. He described the figures as “troubling”. It should then come as no surprise to you to hear that our team are experiencing a surge in bicycle accident claims in London and are helping people every month to get the London bicycle accident compensation that they deserve. In November 2013, six cyclists were killed on London streets within a two-week period, bringing the number of cyclists killed in London in the year to 14. Nine of the deaths involved a heavy goods vehicle (HGV). In response, the Metropolitan Police launched their initiative Operation Safeway, in which 2,500 traffic police were stationed at major junctions throughout the city to issue fixed penalty notices to law-breakers and offer advice to vulnerable road users such as cyclists. A BBC poll taken in December 2013 found that one fifth of regular cycle commuters had stopped cycling to work as a result of the then recent spate of deaths. A fifth of the survey respondents had also been involved in a collision, and 68% believed that London’s roads were not safe to cycle on. As a victim of a cycle accident in London, or someone caring for someone who has suffered in a recent accident, this is no doubt something you are well aware of. 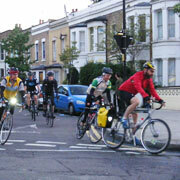 Every year in the UK around 19,000 cyclists are killed or injured in reported road accidents. Of that number around 3,000 are killed or seriously injured. Most cycling casualties are adults, with less than one in five child casualties. Cycling accidents increase as children grow older, with schoolboys aged 10 to 15 year old listed as the most high risk age group for accidents amongst those aged 60 or younger. Men, and teenage men in particular, are far more likely to be involved in cycling accidents than women; 80 per cent of all cyclist casualties are male. Most cycling accidents take place in built-up locations. 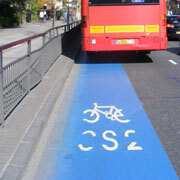 Inevitably, this is also where most cycling takes place – particularly in London. Almost two thirds of those cyclists that are killed or seriously injured are involved in collisions near or on a road junction. Roundabouts are especially dangerous junctions for cyclists. The extent of cyclists’ injuries increases with the speed limit. Almost inevitably, cyclists are more likely to suffer serious or lethal injuries on roads where traffic travels fastest. Despite this fact, almost half of fatal collisions occur on rural roads. Around four out of five cycle accidents occur in daylight – a time of day when most cycling occurs. The most dangerous hours for cyclists are 3.00 to 6.00 p.m. and 8.00 to 9.00 a.m. on weekdays. However, cycling accidents in the dark are typically more serious, with a higher proportion of fatalities. More cycle accidents occur during Spring and Summer (May to September) when cyclists are most active. However, the casualty rate in terms of miles travelled is higher over the Autumn and Winter period. About 16% of fatal or serious reported bike accidents do not involve a collision with another vehicle. They are the result of riders simply losing control of their bikes. In collisions involving a bike and another vehicle, the most frequently stated common denominator recorded by police is listed as: ‘failed to look properly’ by either the driver or cyclist. Predictably, the most common vehicle involved in bike collisions will be a car or taxi, with the rider usually being hit by the front of the vehicle, most commonly at a junction. In around one in four fatal cycling accidents, the front of the vehicle hit the rear of the bicycle. Motorists involved in collisions with bike riders said the fact that they ‘failed to look properly’ was a responsible factor in 57% of serious accidents in the Department of Transport’s data. According to ROSPA, cyclists are also more likely to suffer serious injuries when a driver’s faculties are deemed to be ‘impaired by alcohol’, if they are exceeding the speed limit’ or ‘travelling too fast for the conditions’. ROSPA say that lorries and large vans – so-called heavy goods vehicles (HGVs) – as well as buses and coaches are particular menaces for cyclists. In London around 20% of cyclist deaths occur when an HGV is involved in the collision. These fatal accidents occur most often when an HGV is turning left at a junction and cyclist’s lack of visibility comes into play. About one quarter of accidents resulting in serious injury to a cyclist involved an HGV, bus or coach travelling too close to a cyclist. According to ROSPA’s research limb injuries are common in cyclist casualties, with over 40% suffering arm injuries and around 25% suffering leg injuries. These injuries occur presumably as a result of impact or from victims being thrown from their bikes in a collision. And of course, even where cyclists wear helmets, head injuries – from fatal skull fractures and brain damage to concussion and minor abrasions – are common injuries for cyclists involved in a collision. Hospital data from 2008, used in Department of Transport-commissioned research, showed that over 40% of cyclists, and 45% of child cyclists, suffered head injuries in their study sample. Analysis of 116 fatal cyclist accidents in London and rural areas found that over 70% of the cyclist fatalities in London had moderate or serious head injuries. However the law as it stands offers poor protection to our most vulnerable road users. Cycling safety campaigners want a change in legislation that would shift the onus onto drivers to actively prove they are not liable for collisions involving vulnerable road users such as cyclists, motorcyclists and pedestrians. If you find yourself, or a loved one, has been the victim of a cycling accident through no fault of your own, then your greatest chance of justice will come from making a successful personal injury claim. If this is an option for you then you really must make sure that you have genuine, expert cycling injury lawyers fighting your corner. Currently cycling campaigners confirm that claims involving cyclists need expert assistance to ensure that victims get a happy – and swift – resolution. Without specialist representation, those involved in car collisions as cyclists can be left in the lurch for up to nine months before they receive compensation – even when their case is straightforward. In disputed, complex or fatal accidents victims can sometimes wait more than two years to receive their compensation award. If you have suffered a bike accident and intend to make a claim for your injuries you must think long and hard about the credentials of any law firm you instruct to fight your case. 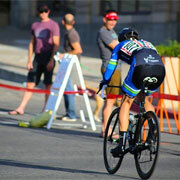 Our expert cycling lawyers are specialists in taking cycling cases. That is: experts in gaining you the maximum compensation possible through the quickest, most effective and most sensitive means possible. Rest assured, the emotional, financial and physical adversity you and your family are experiencing, as a result of your accident and injuries, must not be added to by any grounds for uncertainty surrounding your legal claim. Equally, you should not be intimidated by the prospect of seeking financial reparations through a legal claim you cannot afford to take. With our No Win No Fee* funding you will never be asked for a single penny of payment for any of the expenses relating to your accident claim. That means that whether you win or lose you will not be required to pay money out to anyone involved in your case. The first step towards the peace of mind you are looking for starts with a phonecall to our expert care staff. When you call you can speak openly, in confidence and with no cost or obligation to take your claim any further. Together we will work out the details of your case and decide whether we can help you – or not. If we can, we will look to get an expert in cycling claims assigned to work for you straightaway. Having the right representation on board is the most crucial factor in turning your claim into a successful case with the right level of compensation for your injuries and losses. Call today. Our cycling accident solicitors in London are specialists in helping riders to claim for significant bicycle accident compensation and have represented many clients on cycling accident claims cases.